It’s really great to be a winner and students in Culverhouse’s Manderson Graduate School of Business MBA program know quite a bit about winning. At case competitions across the country, student teams from Manderson have had extraordinary success. 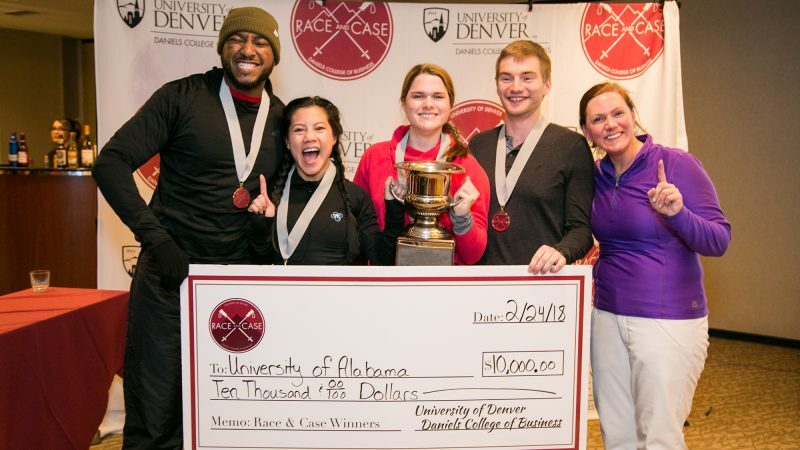 2018 Race and Case at the Daniels College of Business at the University of Colorado: First Place. 2017 National Black MBA Association/FCA US National Graduate Student Case Competition in Philadelphia: First Place. 2016 SEC MBA Championship at the Sam M. Walton College of Business at the University of Arkansas: First Place. What’s a case competition and why are they such a big deal? The format varies depending on the event, but generally, teams of typically four students are presented with a business “problem” often tied to the primary sponsor’s industry. Teams are usually given very little time, pulling all-nighters to deliver and present a well thought-through solution. Patricia “Tut” Wilson, former Director of Recruiting & Admissions for the Manderson MBA program, played a critical role in the success of the case teams. Now Director of Parent Philanthropy in UA’s Division of Advancement, Wilson led teams as a recruiter, coach, and confidante. “It’s not all sunshine and skiing –– it gets emotionally and physically intense preparing for a competition,” said Wilson. Generally, these presentations are judged and ranked, with the winners of each round moving forward toward a final presentation. This last trial is in front of an audience of student competitors that didn’t make the cut and a panel of judges made up of affiliates from the hosting university and competition sponsors. UA students, from left, Liz Alley, Bryonna Rivera Burrows, Jessika Banks and Myles Ward, took home the first place trophy in the 2017 National Graduate Student Case Competition. 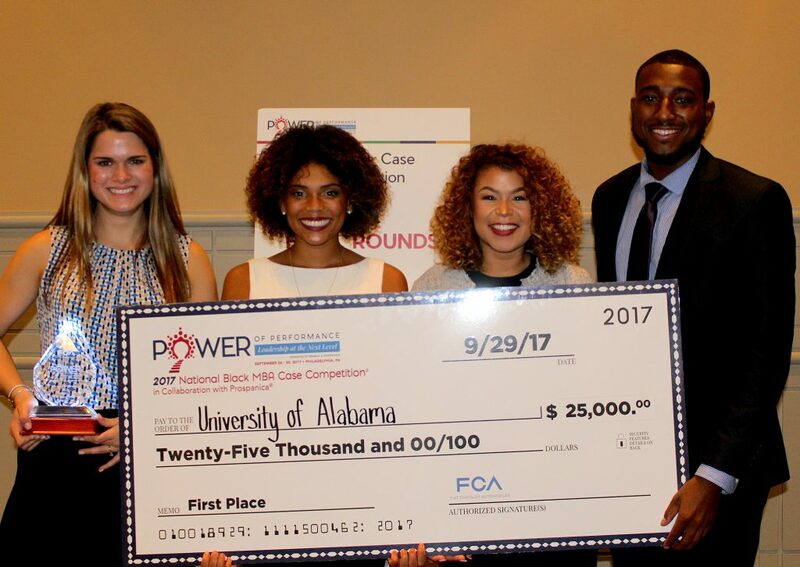 The value of these competitions is significant and there is often big money on the line: the 2017 NBMBAA/FCA case competition gave $25,000 in scholarships to the winning team. But beyond the money, the bragging rights and the experience gained from working collaboratively under pressure is quite the prize in itself. These competitions are also special in that they are selective and prestigious – just being there is a big deal. They also serve as a unique opportunity to market and promote an MBA program to other peer institutions. In other words: participating in case competitions is a must for any premier MBA program. That year, Florida was the winner for the second year in a row. “That team was nearly flawless. They were confident and used no filler words. Their PowerPoint was beautiful and the presentation was well organized. It was clear that we needed to nurture our students and develop them throughout the year with more competitions to build their confidence. The students who do one case competition often say, “I know what I would do differently the next time to improve.’ They get what goes into a winning team at that point,” Wilson said. The Race and Case trophy. Wilson earmarked some scholarship money and reached out to nine students that she’d identified as good candidates for the team. All nine said yes. “Over time we learned that we had to integrate first-year students in with the second-year students to enable a seamless transfer of knowledge. One of the best ways to train is to put first and second years on the same team. Talent is identified through Speaker’s Edge, which is a part of our LAUNCH (orientation) process for MBA students. It has them preparing and giving presentations to panels of judges similar to a case competition.” The second case team consisted of around twenty members, rotating into various competitions. “The timing was great as it was six weeks before the SEC competition, so it gave us an opportunity to fine-tune and have fun out west before working our fannies off. We incorporate a ski practice day before the competition since most of us don’t regularly ski…” notes Wilson. University of Utah was the winner that year, owing to their ability to field a good case team and having access to quality ski runs. The most amazing part? A few days after returning home, Wilson received word from the Race and Case organizers. There had been a mistake in the scoring and it turned out The University of Alabama Manderson team had come in third place. They also announced that to encourage more teams to participate they were shifting to 90 percent case and just ten for the race moving forward. Going into the 2016 SEC competition just a few weeks later at the Sam M. Walton College of Business at the University of Arkansas, Wilson and her students had a boost of confidence that resulted in an overall win. “It was a huge turnaround for us, winning over the University of Florida, who had won for the previous three years. And the best part of the win was that suddenly we were on the radar of other prestigious competitions.” They were also on the radar on campus. The next fall everyone wanted to get involved. “Case team was all of a sudden cool. We had students coming out of our ears to get on the team, so we had to have tryouts and ended up taking around thirty,” Wilson exclaimed. In order to broaden the depth of skills on the team, students from Culverhouse’s STEM Path to the MBA program are also invited to try out for the team. Over the first three years of competitions, students won over $26,000 in winnings, including 2017 second place finishes at Race and Case and the Iowa Business Analytics competition. This past year, the Manderson team continued their winning ways, including the National Black MBA Association/Fiat Chrysler Automotive competition in Philadelphia back in September. The team’s pitch focused on a revisioning of an Alfa Romeo dealership’s approach toward customer service, with an emphasis on providing a white glove experience commensurate with the brand’s sporting luxury market position. Myles Ward, MBA Class of 2018 and part of the winning team, who now works for AT&T in Dallas said, “With two of us having competed at NBMBAA last year, we were determined to win it. Honestly, the day before we left Tuscaloosa our practice didn’t go well. We had gaps and it didn’t flow at all. We received constructive criticism from faculty and fellow students and took it to heart. We worked on the flights and until 3am perfecting our presentation. When you are focused on the goal and you trust (and actually like) each other, you push through… we look back and laugh at that night. Standing on the stage with a $25,000 check three days later was exhilarating.”. 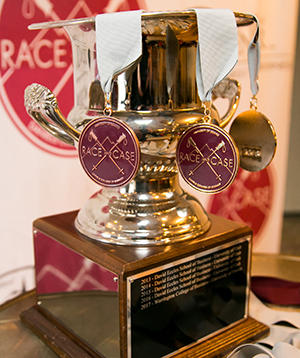 Then at Race and Case in early 2018 the team did well enough on the slopes and in the case competition to win outright against schools like London Business School, UC Berkeley and Florida. From a student’s perspective, being on the case teams has a number of benefits.“[It’s] likely the best experience I had in MBA school in terms of my career. I had so much to talk about in interviews about what I learned about different industries and business through the research we did for these competitions,” said Alley. That scenario played out successfully in 2018 for Liz and for Jessika Banks, an anchor for the case team who’s now at KeyBank because of her presence at the KeyBank Minority Case Competition. “Each of the awards and honors we’ve received over the last couple years are more than a shiny trophy – they are reminders of the most meaningful professional experience of my life,” Banks affirmed. Tally for the 2017-2018 season? Around $50,000 in scholarship winnings and hardware for seven teams at nine different competitions, including a few best presenter awards. “Case team, without a doubt, is one of the most rewarding things that I have participated in at UA. It was definitely challenging, but Tut gave us guidance, leadership and honesty. She never stopped believing in us, and pushed us to be better over the two years,” Ward added. 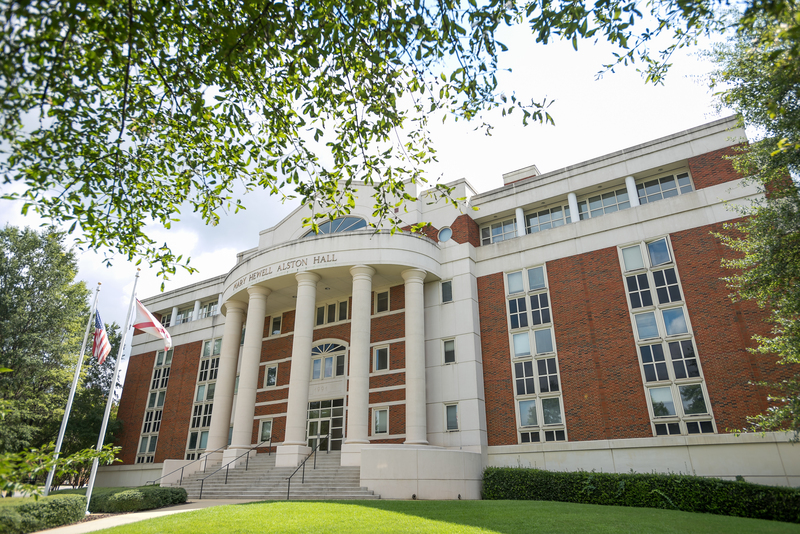 Follow along with the Manderson Case team at culverhouse.ua.edu/manderson and connect on social media at @mandersonua.